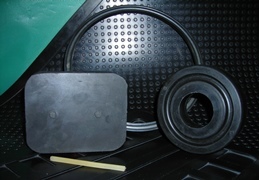 JRC Technologies is a custom rubber molder dedicated to providing quality polymer products. We are manufacturers of all size polymer products with capabilities to mold larger parts with large high tonnage compression presses. 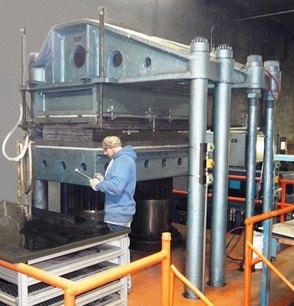 Our in-house capabilities for metal prep allow quality assurance and reduced lead times. An alliance with our customers is viewed as a partnership in which we are a key to their success. A foundational allegiance at JRC Technologies is committed to providing engineering support of polymer selection and tooling design to facilitate product development while manufacturing controls assure product consistency. Our philosophy is to safely provide our customers innovative polymers solutions and quality products with on-time delivery at a competitive price. JRC Technologies has the beneficial selection of world class custom compounders in the north eastern Ohio area. Our compound suppliers have on site chemists, a vast knowledge of rubber compounding, advanced processing lines with complete laboratory and technical services to insure consistency and performance of their compounds.